At the show, SAi will demonstrate its very latest packages which provide added-value solutions that facilitate design to production operations and drive business growth for customers. Visitors will have the opportunity to partake in informative one-to-one tutorials focusing on the feature-rich Flexi and EnRoute solutions, as well as the company’s Box & Display software, introduced for those looking to quickly and easily design custom cardboard boxes. 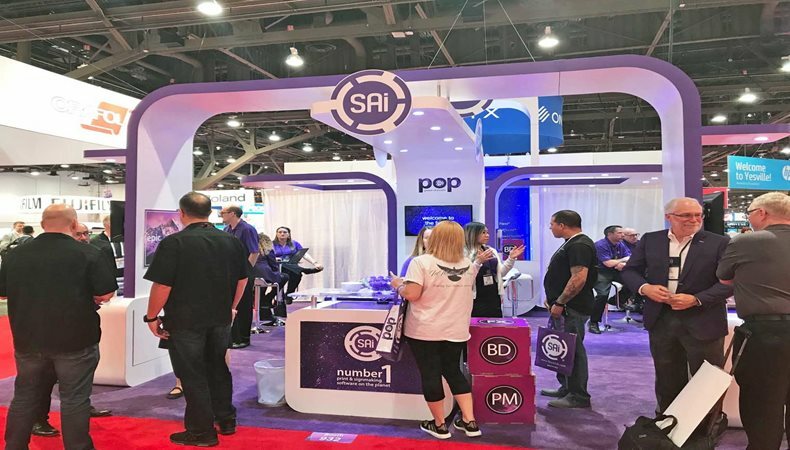 SAi’s participation at the Global Print Expo 2019 marks 30 years in business, with the event also set to see the company unveil its vibrant new purple branding for the first time at a major pan-European tradeshow. Visitors can also hear directly from SAi’s Vice-President, Technical Services, Eyal Friedman, who will participate in FESPA’s panel discussion, “Automate or Die: From Printing Industry to Industry 4.0”. This informative debate will look at the importance of automation within the wide format printing industry, how this is changing, and the crucial role software has to play. This will take place in the Trends Theatre on the show floor on Thursday 16th May from 1.00pm – 1.30pm. FESPA Global Print Expo 2019 is Europe’s largest speciality print exhibition for screen and digital wide format print, textile printing and signage solutions. Visit SAi at stand F31 in hall A5 at the Messe Munich between the 14-17 May 2019 and discover the available features. Please use promo code FESG902 to register for free.